Great, You Moved in. Now what? At NBI Properties, Inc. our cutting-edge research capability matches your real estate through a cross-collateralization process of “marrying” the right person or organization to the right opportunity. We also analyze market conditions to best position your property within the current market place. So what happens once you’re positioned in the perfect location? Here are some insider tips from what we’ve discovered from our combined 30 plus years of commercial real estate industry experience that will help you make the most of your new business location before the doors even open. You’ve arrived and people need to know! Waste no time in marking your new location with signage. While it may take some time to receive your professional signage with business name, invest in temporary signage that’s professionally printed. Every day the space is not marked is a potential new customer driving by that you might miss out on. You’ll want to ensure that your signage is professionally-made and it stands out from the building. Also when working with the sign maker, thoroughly relay your business’ branding guides with colors, fonts, logo, etc., so your business signage at the new location is recognizable by someone who found you from your marketing efforts. Do you remember the days when you’d move into a new house and the neighbor brought over a fresh pie so they could introduce themselves and get to know you? Yeah, we know it’s not quite as common anymore, but think about how great you felt and how special it was. Also, how much more likely you might be to contact that neighbor, invite them over for dinner, borrow some sugar when you realized you had none in your pantry, or recommend them or their business to a friend or relative if they had something to offer someone in need. All of this because of that one initial interaction. That theory is no different for businesses, and there’s nothing wrong with taking the initiative to introduce yourself (and your business) to the business neighbors. They could end up being some of your biggest patrons or referrals of business if you just take that first step. If your business offers products or services, consider giving them samples or discounts for employees. It’s never too early to start spreading the word and building up those loyal, consistent clients or customers that will keep a recurring income stream to help your bottom line. So, you’ve started by meeting the neighbors, but don’t stop there! Depending on your business, the community and area around you could be the reason for your success. Here’s a few suggestions to get social in your community and get your name and business in front of future clients or customers. It’s never too early to start telling people about you, your business and what you offer, even before the doors open. Get people excited! •	Utilize free digital marketing resources to inform and educate about your products, services, and industry. This might be a company blog on your website, social media channels or listing your business on free area business listings. •	Invest in social media ads to start growing your following on your social media channels so when your doors open, you’ve already built a following and they will see what’s happening at your business. •	Join the local chamber of commerce! Often times, the local chambers offer many membership benefits such as networking events, promotional opportunities and free business listings that could increase your exposure to the community. It’s time. The shelves are stocked, the team is complete, and you are ready to open your doors. You’ve been spreading the word, getting involved in the community, and the day has come to welcome them all into your new business. Plan a fun grand opening that will entice people to attend. Often, local chambers offer members a grand opening ribbon cutting and they will promote it to members and area influencers. Along with the chamber members, invite area officials, influencers and potential customers. Consider having entertainment, food and beverages available to them while they tour your space, meet the team and hang out at your new location! Let the community know you are open for business and they are welcomed with open arms. At NBI Properties, Inc. we know opening a new location is never easy, and business owners put blood, sweat and tears into ensuring the location they’ve chosen is used to its full potential. 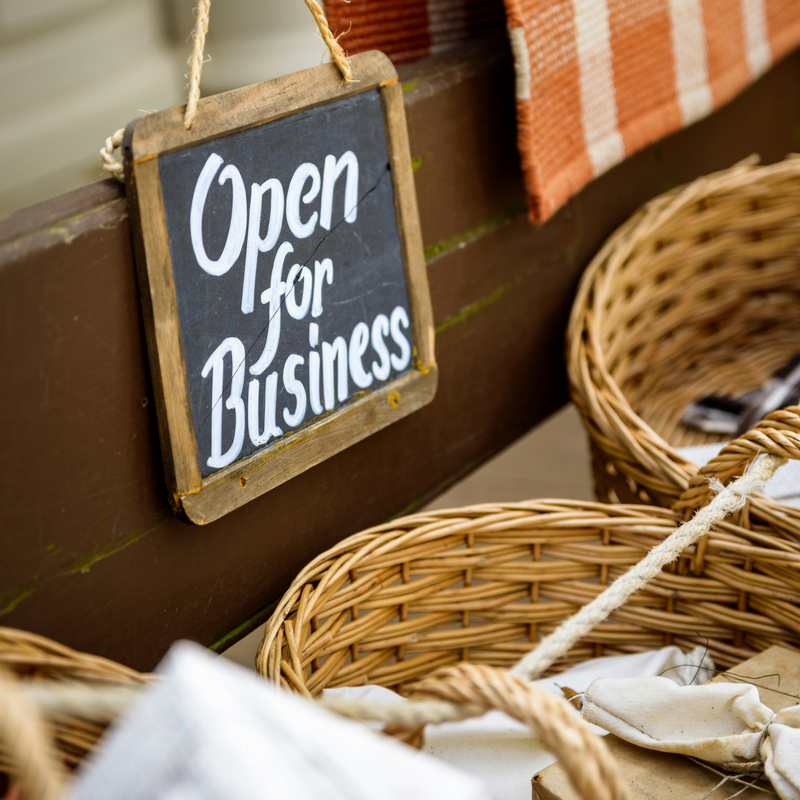 Utilizing these tips once you’ve moved into your new business location can put you on the road to success and kick off your first few days of being open with a bang! Contact us today and learn how we can position your property and business opportunity in right market location.